Millwall forward Tim Cahill has been banned for three games after admitting a charge of violent conduct. 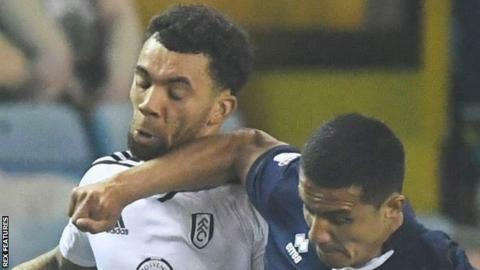 Cahill appeared to elbow Fulham's Ryan Fredericks in the 85th minute of the Lions' 3-0 loss on Friday, an incident missed by referee Andre Marriner. He will miss Championship matches against Middlesbrough and Aston Villa, as well as the first leg of a play-off semi-final, should Millwall reach it. The 38-year-old has made 10 appearances since re-joining the club in January. Millwall currently occupy the final Championship play-off place in sixth position, a point above Derby County, who play their game in hand against second-placed Cardiff on Tuesday, and Brentford.